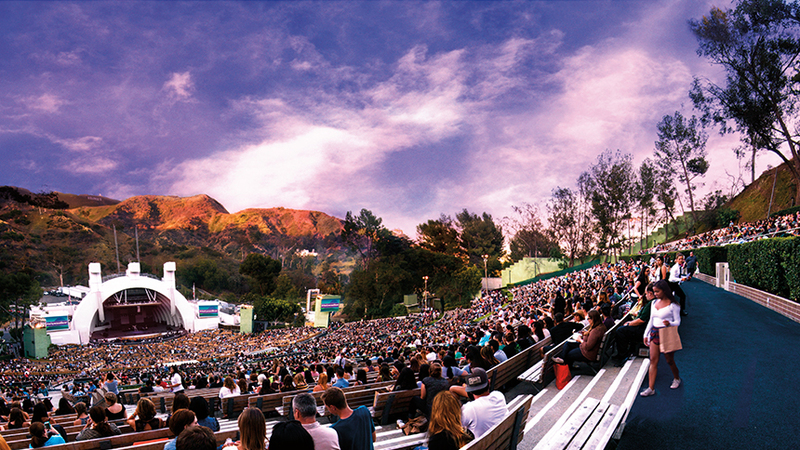 There’s a lot in the history of the Los Angeles Philharmonic of which to be proud. As the organization celebrates its 100th birthday, there are highlights throughout the years: “The Dean of African-American Composers,” William Grant Still, is said to have been the first African-American to conduct a major American orchestra when he picked up the baton for an LA Phil performance in 1936. 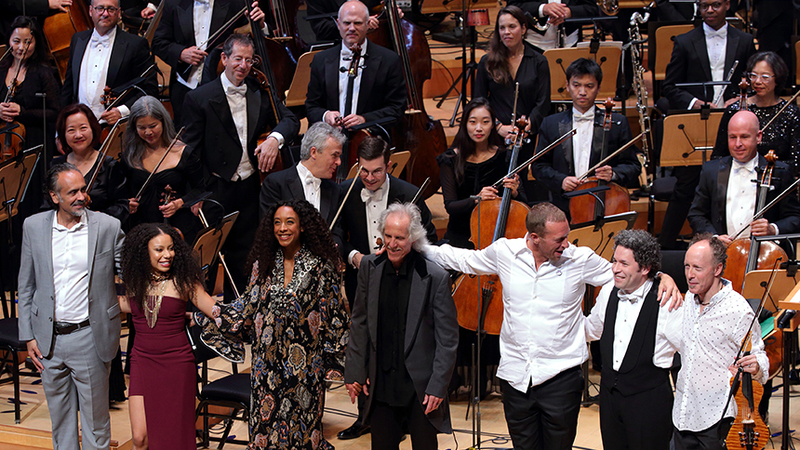 The organization has long been a leader in merging classical music with mainstream pop, like when it performed with Frank Zappa and his band in the 1970s. But reminiscing has never been the orchestra’s style. With the worldwide star conductor Dudamel taking the baton for 20 performances, collaborations with San Diego’s The Old Globe on a multi-discipline version of “The Tempest,” and pop music stars like Moby and Andrew Bird, the Los Angeles Philharmonic is entering its triple-digit years with both its experience and its sense of wonder intact – with many shows happening near The Hollywood Roosevelt. Leading the vision for the organization’s schedule is Dudamel, the Venezuelan conductor who has packed a career worth of highlights into just 37 years of age. Since taking over the baton for Esa-Pekka Salonen in 2007, he’s premiered music, reinterpreted masters, and generally attempted, with the organization’s help, to make the LA Phil as approachable as possible to Los Angeles residents from all walks of life. 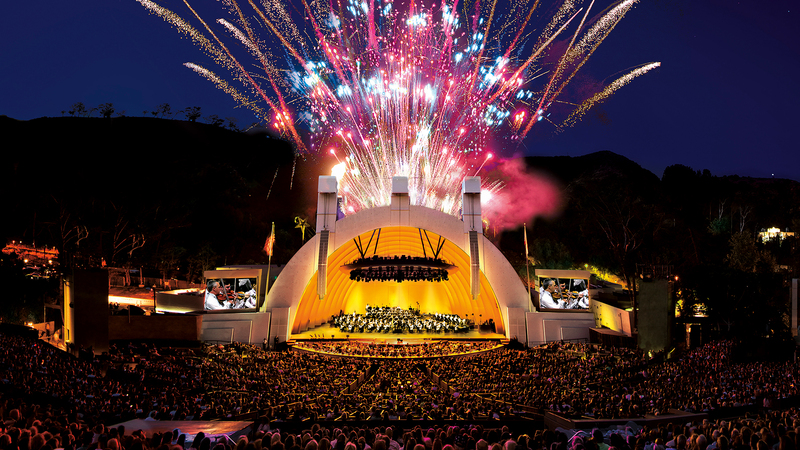 Starting with the Phil’s celebration of California creativity on September 27 and going all the way to a planned bash with Dudamel and two former music directors – all on the stage of the Hollywood Bowl – on October 24, 2019, the orchestra hopes to live up to the 99 years that came before. But again, what came before isn’t really the focus. 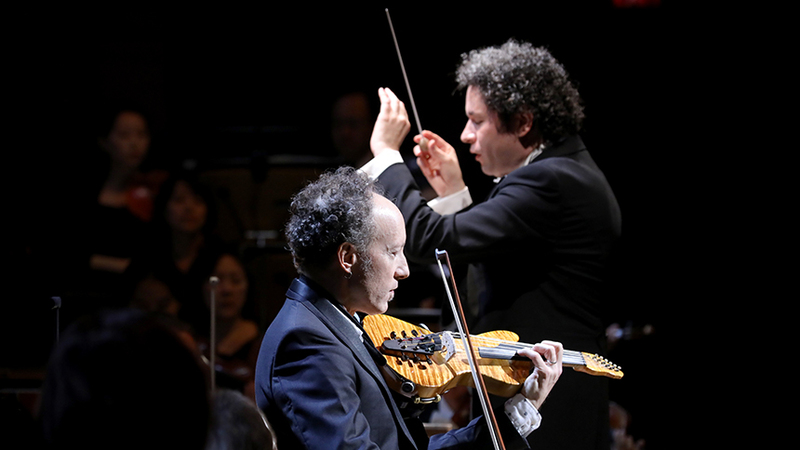 All photos courtesy of Los Angeles Philharmonic Orchestra.